What if Games Were Real? 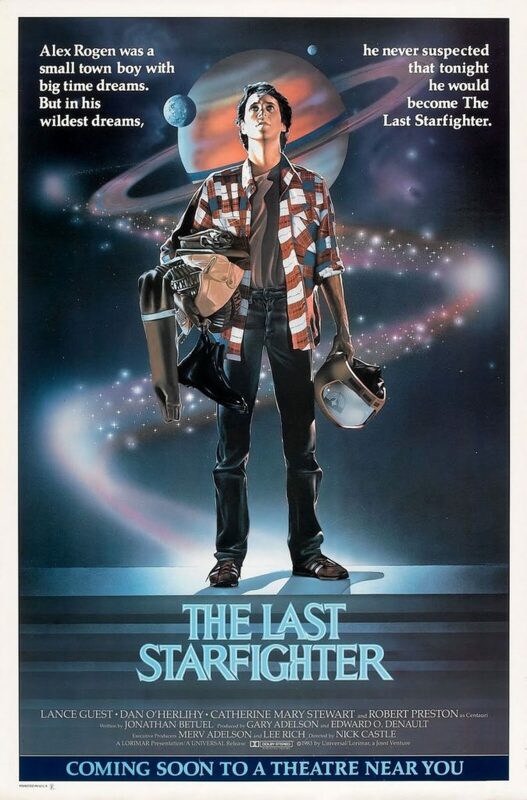 Back when I was a kid, I loved The Last Starfighter. It was an incredible wish fulfillment film, in which a teenager’s arcade game skills made him the hero of a real inter-planetary war. It fostered the idea that games could be empowering not just within themselves but in the real world, that the geeky things we did for fun could be relevant. And at the time, there was nothing else like it. When The Last Starfighter came out, the question of “what if our games were real?” was a pretty niche one. These days, things are different. There are games consoles in most homes, roleplay or wargaming clubs in most high schools. Glancing at a stranger’s phone on the bus (don’t pretend you never do it!) there’s a good chance I’ll see them playing some brightly coloured Skinner box of a mobile game. Now that gaming is mainstream, there’s space for multiple takes on the games as reality tale. Whether’s its a portal fantasy where teens are transported into a game world, a sci-fi story where consoles are training us for future wars, or just an exaggerated take on the skills gamers develop, these narratives are becoming increasingly prevalent. 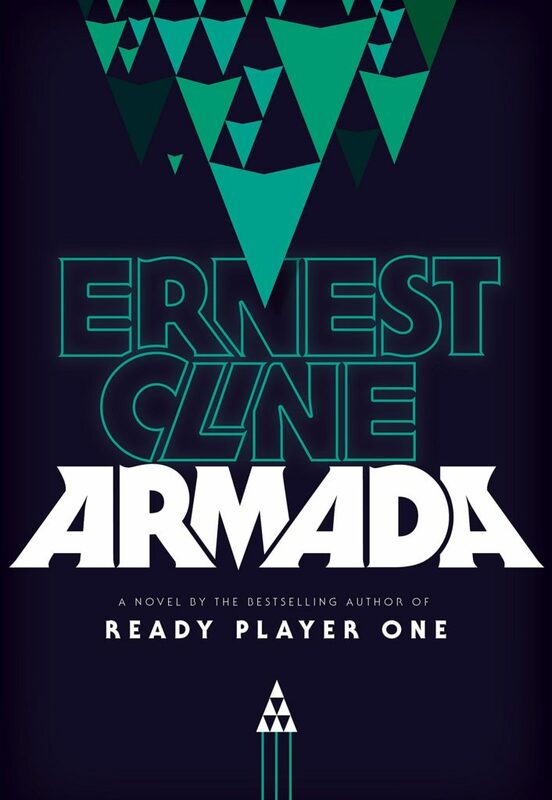 Ernest Cline’s novel Armada is a very deliberate successor to The Last Starfighter. The protagonist, Zack, is an American teen living with his widowed mother. He’s also one of the world’s top players in an online spaceship combat game called Armada. When Zack sees a spaceship from the game flying over his home town, he starts to worry about his mental health. But that worry is replaced by new ones when the game turns out to be a recruiting ground for pilots in a war to save the Earth. I discovered this book through a review by my friend Jane, so I went into it with high hopes. And the further I got, the more disappointed I felt. This didn’t just feel like a return to the themes of The Last Starfighter – it was a cheesy rehashing of that film. And that wasn’t the limit of its faults. The geek culture references were repetitive and over-explained, with all the subtlety of an episode of The Big Bang Theory. The protagonist had, to steal a term from the Mythcreants, too much candy – his personal conflicts were quickly resolved and his wishes cam true in the most blatant ways. Why, I wondered, did a professional bookseller of apparently sound judgement like this book? It was just wish fulfilment fantasy for teenage geek boys! And as you’ve probably realised, the answer is in the question. Because the moment I thought about audience, I realised that Armada wasn’t meant for me. For a geeky teenage boy, it would be a world of excitement and wonder. Not deep, but not harmful either, and very accessible. This was a new generation’s The Last Starfighter, and who was I to begrudge them that? If The Last Starfighter style fantasies are dead to me, does that mean that I, having reached middle age, can’t enjoy the “what if games were real?” fantasy anymore? Do you think I’d be writing this if the answer was yes? 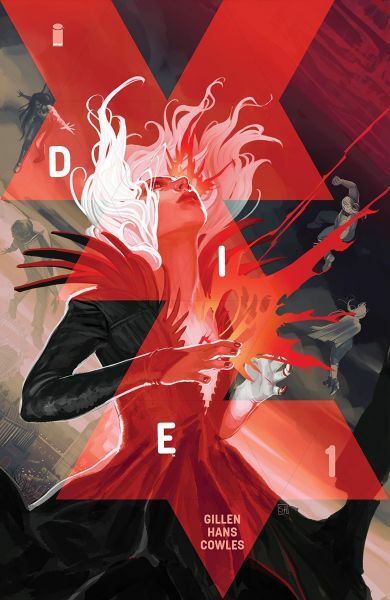 To the rescue comes the comic Die by Kieron Gillen, Stephanie Hans, and Clayton Cowles. Die tells the story of a group of tabletop roleplayers who were once magically transported into the world of their game. Years later, they return to that world. In doing so, they again become magically empowered, but are forced to face the horrors that almost destroyed them. Die is a much more substantial take on this topic. Instead of simply replicating familiar tropes, it dissects them, revealing the darkness behind the fantasies, the price that comes with getting what you think you want. 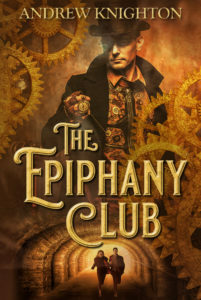 As Alasdair Stuart deftly explains in his review, it’s a story with familiar yet compelling characters, a strong plot, and incredibly striking imagery. Just two issues in, it’s shaping up to be a fascinating comic that makes you look at its subject matter in new ways. In short, it’s everything you’d expect from Kieron Gillen. This is a grown up take on “what if games were real?” Problems aren’t easily fixed and they leave troubling scars. Wishes never come true in the way you want them to. But maybe there’s still empowerment and inspiration to be found. Reading these two stories in parallel, my first reaction was to see Die as the better of the two. It’s deeper, it’s darker, it’s far more inventive. But audience is important when judging a book, and for its audience, Armada is going to be great. To many teenage gamers, it will feel empowering and inspiring, like The Last Starfighter did when I was young. They don’t need the deconstructions yet. To most of them, the darkness of Die would be alienating. Let them come to it later, once they’ve had a chance to enjoy the pure fantasy. The deserve to enjoy the brightness for a while. This is what’s brilliant about now. There’s room for a Last Starfighter tribute and for its dark, gothic cousin. The question “what if games were real?” has all sorts of answers, and we have a chance to see them all. And once I got to that space, I started enjoying Armada again. I didn’t need it to be something weighty – I had Die for that. I could enjoy it on its own terms. I could get back to fantasising about the games becoming real.